Tabu Will Be Seen Doing Comedy In Rohit Shetty’s "Golmaal Again"
In addition to Tabu, "Golmaal Again" star cast consists of Ajay Devgn, Parineeti Chopra, Arshad Warsi, Tusshar, Kunal Khemu and Shreyas Talpade. 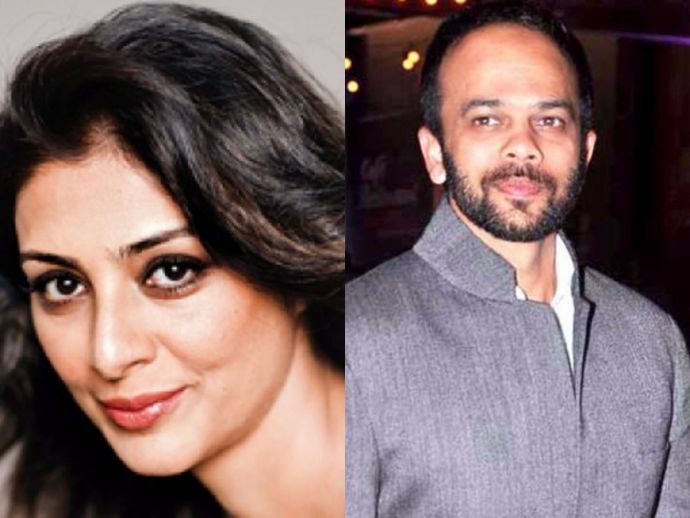 Veteran actress Tabu is all set to make her comedy comeback with Rohit Shetty’s Golmaal series. After Parineeti Chopra, Tabu becomes the latest addition to the Golmaal gang. Tabu has previously done comedies like Biwi No.1, Hera Pheri, Aamdani Atthani Kharcha Rupaiyaa. Golmaal’s last three installments were blockbusters and we hope that the latest one in the series will be a laugh riot too! Talking to DNA Tabu said, she feels great that somebody like Rohit thought of casting me in a film like Golmaal. The "Golmaal Again" cast already consists of stars such Ajay Devgn, Parineeti Chopra, Arshad Warsi, Tusshar, Kunal Khemu, Shreyas Talpade and Tabu. This is the second time Ajay Devgan and Tabu are working together after 2015 hit suspense-thriller Drishyam. Tabu was last seen in Katrina Kaif and Aditya Roy Kapoor starter Fitoor.